In this month’s post for One Clover & A Bee over at Hilltown Families I recommend a writing challenge based on a poem by the inimitable Frank O’Hara. do have meaning. They’re strong as rocks. If you want to read the column and try the writing challenge, go here. Right now! And the next time you think you have nothing to write about, take a Frank O’Hara and call me in the morning. Of all the pictures in the A. Poulain anthology of Contemporary Poetry that took up residence in my undergrad mind, the picture of O’Hara is most unforgettable. Such a profile! 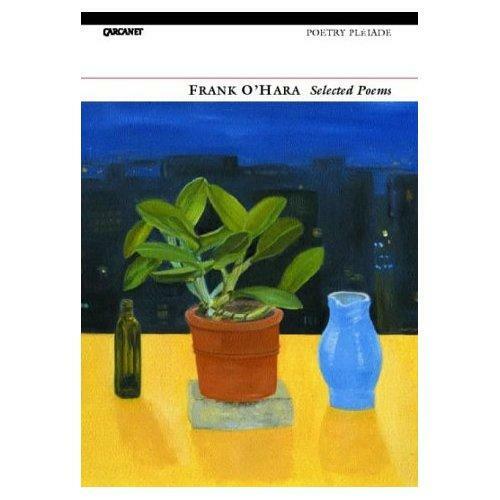 We read other poets more closely than we did O’Hara, so I’m glad to be reminded of his work again. This is a lovely piece, your introduction to him here. I’ll definitely look at your challenge! I really didn’t read him closely until I taught a course on ekphrasis. His casual tone is sort of a red herring, I think. And not all the poems, of course, are fabulous (whose are? ), but there’s a lot to love.